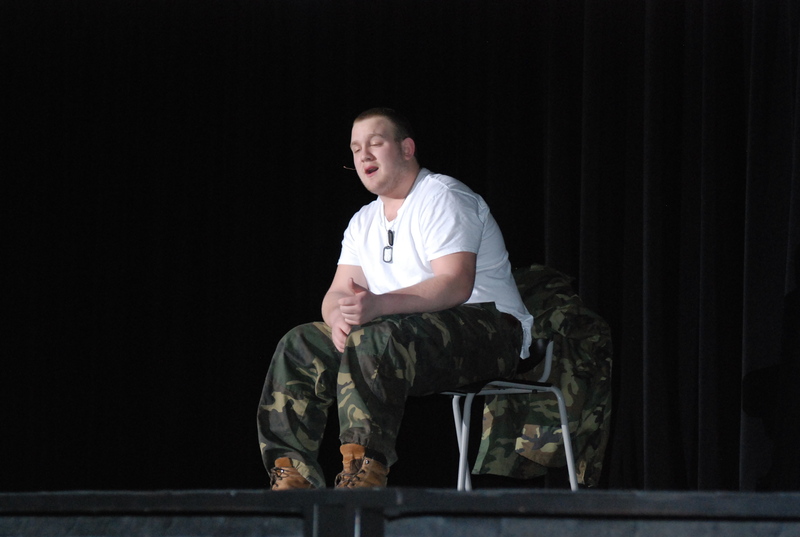 RHS senior Jacob Mesheau sings “Why God, Why?” from the musical Miss Saigon. Rockland High’s band and chorus brought the house down on Friday, March 14 in their annual Broadway Night performance. As always, the musical selections were phenomenal. The students performed songs from the musicals Miss Saigon and Wicked, resulting in an expected success. After a short intermission, several chorus members transformed Wicked, a musical that dramatizes the early years of the witches from the Wizard of Oz. It was a fitting showcase for this year’s Broadway Night’s talented singers.